Turmeric - Now Organic International B.V.
NOW is sourcing fresh turmeric in countries like Peru and Indonesia. During the season we import full containers of turmeric for the fresh market or process the raw material in products as below. 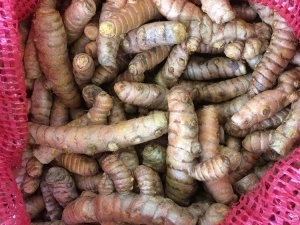 Fresh organic turmeric is available in packaging from 150 gram until 13.6kg cartons. Turmeric juice is like ginger juice getting more and more popular. As an ingredient for blends, as a main ingredient for shots or bottled in jars as a convenience product for at home and the food service market. 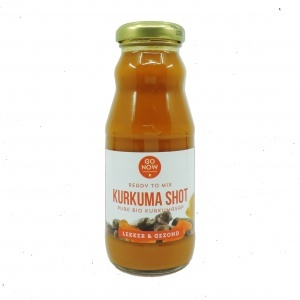 Also in fermented and probiotic drinks like kombucha & kefir, herbal & botanical drinks and turmeric beer our organic turmeric juice is used as a key ingredient. Fresh turmeric is processed into puree for the food processing industry. In a state of the art factory in The Netherlands we process organic turmeric puree on customer specifications. Frozen turmeric dices are mainly used in the food processing industry and the out of home market. Size and packaging on customer specifications.